Embark and Wisdom Panel are companies dedicated to animal DNA exploration, offering testing solutions for private owners, breeders, and veterinarians. Across the two companies, you have a multitude of tests designed to tell you more about your animal friends and help you and your veterinarian provide the best conditions and healthcare for them to lead happy lives. Everything you’ll ever need to know about your pets is already encoded in their DNA signature – it’s all just a matter of “unlocking” those genetic secrets. Our Embark vs. Wisdom Panel comparison will help you choose between these two companies by providing all the essential information and allowing you to make the best decision for the specific needs of your pet. In some cases, you’ll have a pretty clear-cut choice while others might require some additional research. 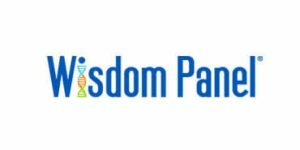 Wisdom Panel is a division of Wisdom Health focused on animal genetic testing, specifically on canine breed percentages and identification of genetic health risks. The swapping was really easy to do and the results finally showed me what I wanted to know for a long time, the wolf ancestry on my dog. I just wish the test had more genetic diseases included without having to order the health test. I didn't know Mars did doggy dna tests, but I guess they can afford it. They gave me all the info on my golden retriever, with all possible illnesses and everything. I did the wisdom panel, but I'd also like the option of putting my mixed-breed through a more serious and detailed test, which wasn't an option. Embark Dog DNA Test answers all the relevant questions you might have about your canine friend. It checks your dog’s DNA for traces of over 250 different breeds, which also include coyote, village dog, and wolf ancestry. The test will determine your dog’s haplogroup, haplotype, and the migration routes of its ancestors 15,000 years back. It’ll also screen your dog’s DNA for more than 165 genetic conditions. Finally, it’ll accurately determine your dog’s genetic age. There’s also a tailored DNA test for breeders, providing both breed-specific and trait results. Wisdom Panel, on the other hand, offers 2 different tests at this time. Wisdom Panel 4.0 will determine your dog’s genetic makeup by comparing its DNA with over 250 breeds. The second test is called Wisdom Panel Health. It’s basically Wisdom Panel 4.0 with additional screening for more than 150 genetic mutations spread across all 16 major body systems. Note that these tests were developed using pure breeds found on AKC and The Kennel Club’s registry lists, so if your dog’s ancestry draws roots from countries other than the US and Canada and regions outside Northern and Western Europe, Wisdom Panel’s breed detection results might not be perfectly accurate. Embark usually generates the final report 3-7 weeks after the analysis has been completed. You’ll also receive updates to your results whenever available. Wisdom panel 4.0 results arrive within 2-3 weeks and Wisdom Panel Health report within 3 weeks. Embark will never share your personal data with anybody without your explicit consent. However, it does encourage users to provide their information for research purposes. Embark Dog DNA Test costs 199$, with a potential discount for multiple dogs. Embark test for breeders has a price tag of 179$ and bulk purchases also qualify you for a significant discount. Wisdom Panel 4.0 costs 84.99$ and Wisdom Panel Health 149.99$. With every test, you’ll receive a unique discount code you can share with your family members and friends. Overall experience is the summation of our Embark vs. Wisdom Panel comparison. Both companies offer high-quality testing solutions, so it’s very difficult to pick out a winner. Embark allows you to get all the relevant information with a single test while Wisdom Panel has two solutions. Wisdom Panel is a bit cheaper and provides wider breed identification. However, it offers a smaller screening panel – unless you want to order both tests – so Embark does seem more convenient in the end.